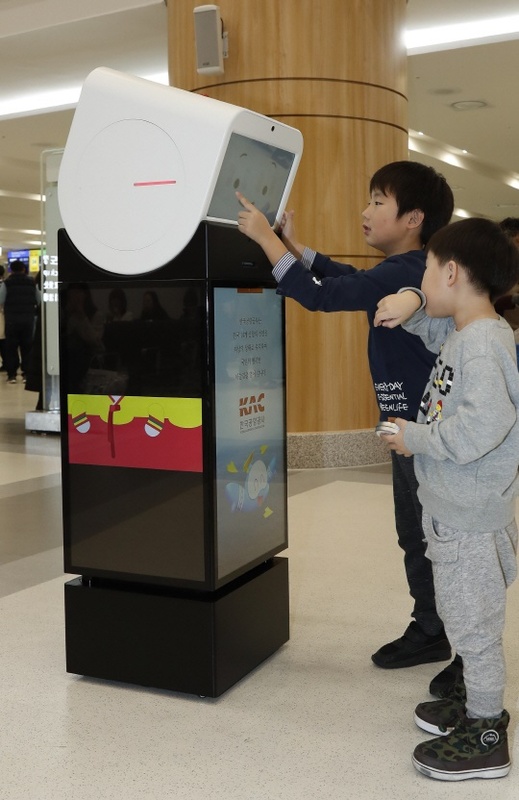 SEOUL, Jan. 3 (Korea Bizwire) — Robots have been introduced at Gimpo Airport to help passengers find gates, restrooms and provide weather information. According to the Korea Airports Corporation, self-driving robots are being trailed from Tuesday in waiting areas for international flights at Gimpo Airport. Equipped with four-sided LCD screens and self-driving technology, the robots can provide useful information such as the facilities at the airport and weather forecasts about the city that passengers are traveling to, all while on the move. The adoption of robots follows in the footsteps of Incheon Airport, and the Korea Airports Corporation is expected to decide on the commercialization of the robots for other airports across the country after the trial run at Gimpo Airport. Given the interior design of the airport with many glass windows, cleaning robots will also be trialed that will be able to access hard-to-reach areas. 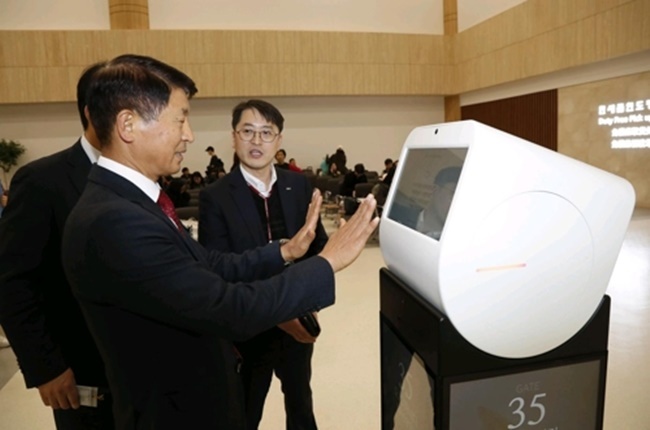 “We are increasingly adopting advanced technology such as robots to create a smart airport that is more convenient for customers,” said Sung Il-hwan, the head of the Korea Airports Corporation.